Earth Hour, the global consciousness raising event, is being given a plug with “Virtual Light Switch“, a Facebook application for need support in turning off their lights. 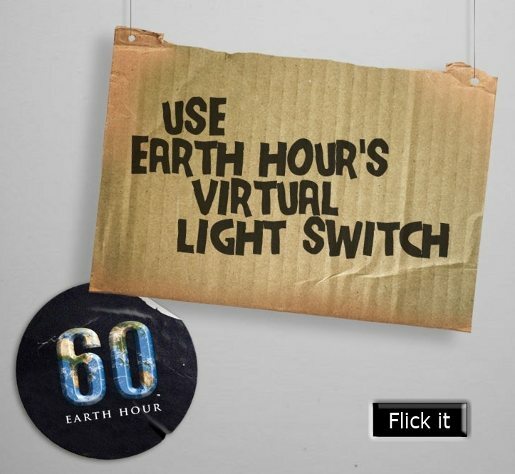 Featured on the Earth Hour Facebook site, the app provides visitors with a choice of light switch styles (from chrome to pull chain) and room décor (from Warehouse Studio to Nana Doris’ House) before practicing flicking for the big night on 27 March, 2010. The Virtual Light Switch was developed at Wunderman, Sydney.